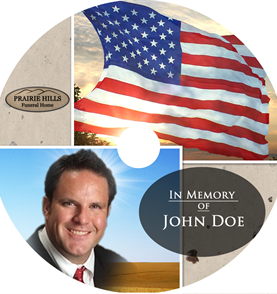 Our families receive a customized memorial DVD, standard, as part of our service. All we need are 35-50 pictures (we do the scanning for you!). We like to provide the option of personalization to every family that we serve, and this can really be an excellent and lasting way to commemorate a life lived. Once we have created the DVD, we provide a copy to your family and post it on our website for everyone to enjoy (especially nice for those that can't be here in person). Additional copies of the DVD's are available upon request. Call 308.284.4055 for more information.